The Comptroller-General of Immigration, Muhammad Babandede, has revoked the residence permits of the expatriate workers in six companies, including Intels Nigeria Ltd., said to belong to former Vice President Atiku Abubakar. The affected workers were also directed to leave the country before November 30, 2017 failing which they may be deported. 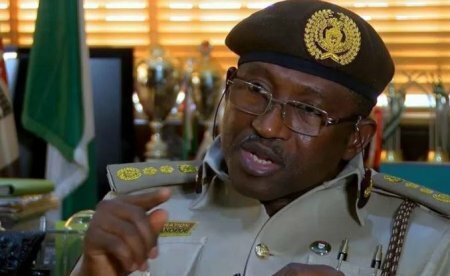 The Immigration Service Public Relations Officer, Sunday James, said in a statement on Wednesday in Abuja that the revocation was in the exercise of the powers vested on the CG in Section 39 sub-section 1 of Immigration Act 2015 and Section 5, sub-section 5 of the Immigration Regulation, 2017. The FG had earlier terminated Intels contract with the Nigerian Ports Authority over allegations that the firm did not comply with the government’s directive on the Treasury Single Account. James in the statement said the revocation of the expatriates’ residence permits followed the withdrawal of the operational licenses of their employers by the Oil and Gas Free Zones Authority.